Supports countries: Australia, New Zealand, Ireland, South Africa. For multiple cart products: Splits into multiple parcels where required by weight and dimensions as per Fastway parcel limits. Supports "Normal" and "Frequent" service rate. Supports Parcels, Boxes, and Satchels. Allows setting of default item sizes and weights in case not set in VirtueMart. Prices and Providers/Depots via the Fastway API so always up-to-date. Lists/records Provider/Depot address and contact details to arrange pickup. Allows you to charge packing and handling fees. Allows you to set a purchase amount for free shipping (ie: free shipping on orders over $100). Visit the Fastway Developer Centre to obtain your API Key. 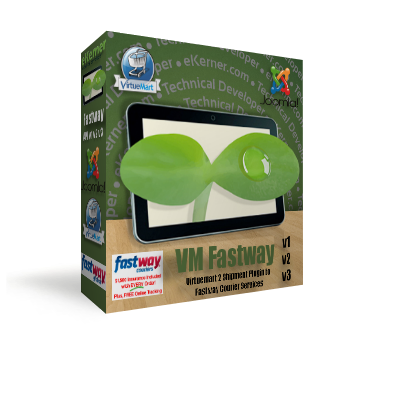 The latest Fastway API requires it and so you will need it for your Fastway plugin configuration. Go to your Joomla Site Administrator. Click main menu item: Components -> VirtueMart. Click left menu item: Shop -> Shipment Methods. Click the top-right menu item: New. 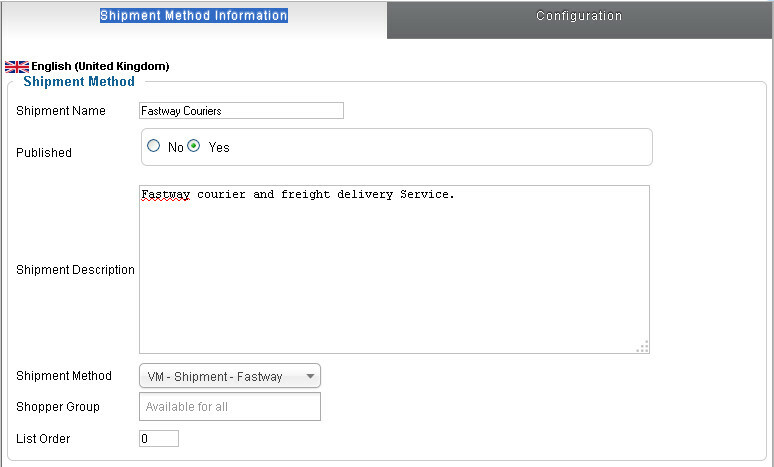 Give your shipment method an appropriate title (like "Fastway Couriers") and optional description, select "VM - Shipment - Fastway" from the "Shipment Method" drop-down. Click Save in the top right menu. Click the Configuration Tab to reveal your settings, enter your API Key (see above), and apply the appropriate settings. 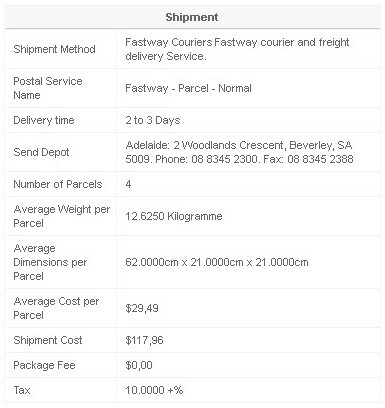 The only required settings are: "Fastway API Key", "Fastway Franchise/Depot", "Service Rate", and "Package Type". Click Save & Close in the top right menu.